Although there is a vast array of T20I international stars on show but this is not the talk of the town ahead of the three-match T20I series between Pakistan and Australia in the United Arab Emirates. During the trophy unveiling ceremony on Tuesday, the fans were struck with amazement when they saw a glimpse of the winners’ prize. 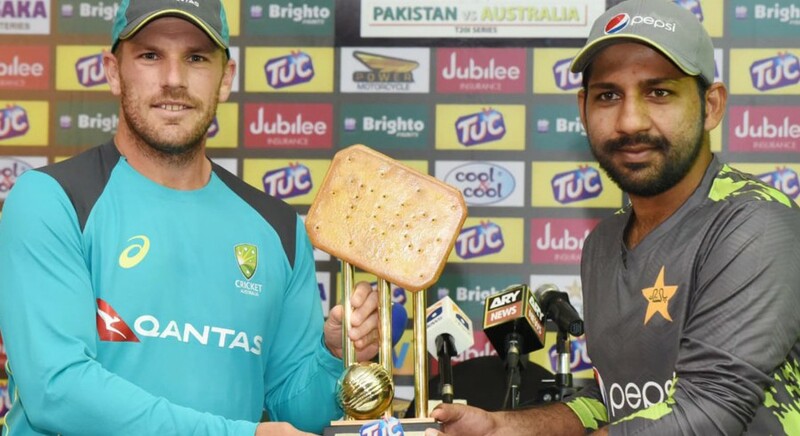 The sponsors for the series are a biscuit manufacturing company but they made it so obvious and invited criticism from fans and the International Cricket Council (ICC) as well. As expected Twitteratti were ruthless in their reaction towards the trophy. Because of a silly trophy I am now wondering if TUC is a biscuit or a cracker. Or are these two terms interchangeable? Itna bara TUC biscuit khana chahta hoon! Meri saadgi dekh mai kia chahta hun 😝.